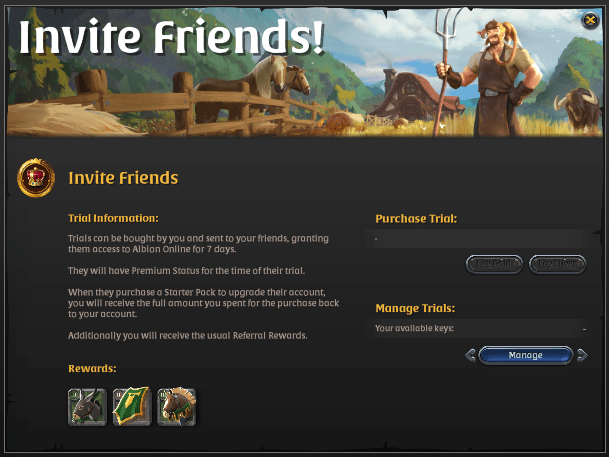 INVITE A FRIEND ON ALBION ONLINE! On Albion Online today, it is difficult to make an interesting gaming experience if you do not have access to what makes the game interesting and economical: gold coins and skill points that do not are obtained only via the Premium. 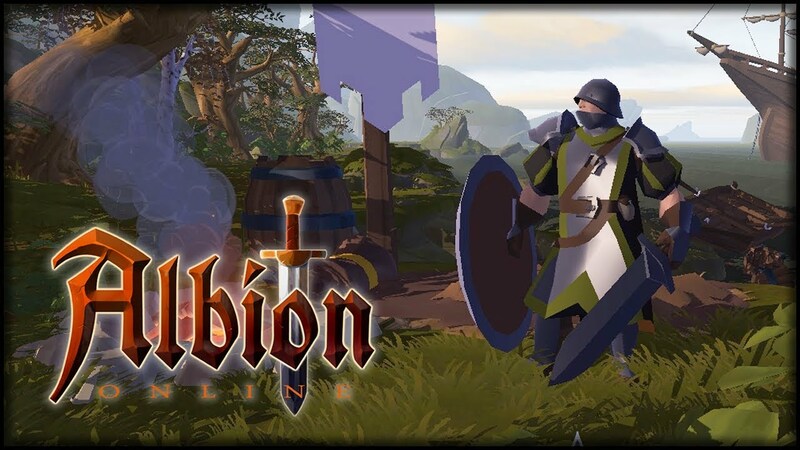 Albion also needs new players, so he proposes to those already present ingame, to invite their friends to come to test Albion Online for a few days (one week precisely...), by means of some golds or silvers. The idea is simple: you invite your friend to come on the game for 7 days, during this period the player is like anyone who bought a standard or other pack of the game, he has Premium, golds etc. in short, just like a lambda player. The only difference is that he can not play after 7 days. HOW TO CONTINUE TO PLAY NEXT? In order to continue playing, the inviting player will have to buy a version of the game, regardless of which pack it will take, the cheapest or the most expensive depending on what it wants to do. The idea being to offer him a satisfying gaming experience during the 7 day trial, so he invest in the game afterwards. WHAT WINS THE PLAYER WHO INVITES? The player who invites, once his friend has joined the game for good by having purchased a pack of the game, will recover his golds or his silver coins. In addition he will earn rewards like a donkey, a war horse and a Cart. On the other hand, if the invited friend does not answer the call by not continuing his trial version beyond 7 days, the player who invited him will not recover the sum invested. It will therefore be necessary to think well before inviting your friends to turn of arms. WHEN IS THIS NEW FUNCTIONALITY PROVIDED FOR? No idea, this leak has not yet been confirmed by Sandbox Interactive, and therefore no release date can be announced. However, given the content of this leak, and the function to be implemented, it is a good bet that this addition comes with the next update: Kay who should land on the servers before the end of the year. In addition Kay should make changes in the PVP content with a focus on the GvG (guild versus guild).